Jiva Institute organizes courses and seminars all over the world. 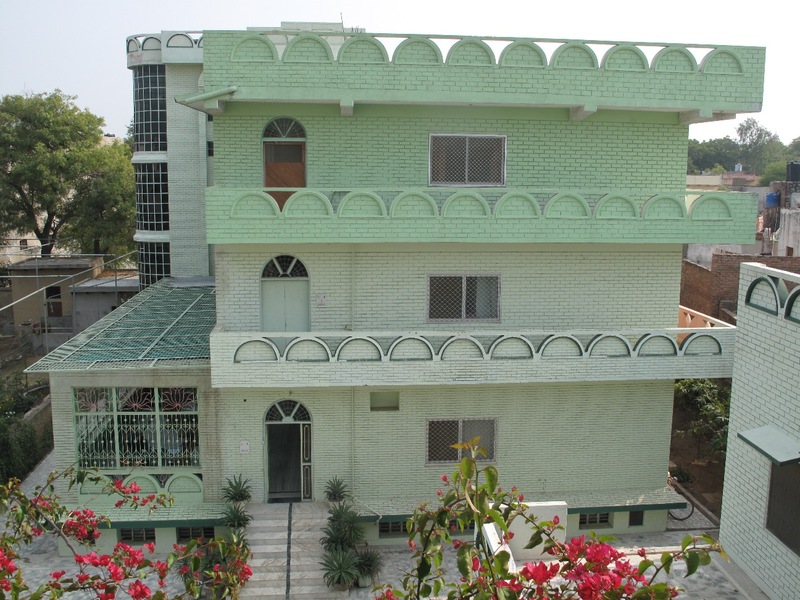 In the spiritual atmosphere of Vrindavan, Jiva invites groups or individual visitors to spend some days or weeks at the Institute. You can learn about Vedic culture and philosophy, take Sanskrit classes, or Ayurvedic treatments according to your choice. 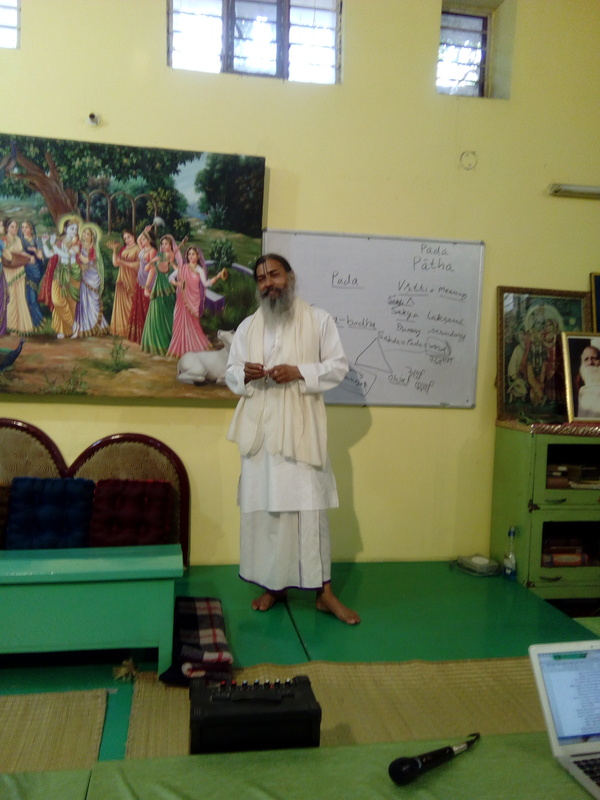 Discovering the wisdom of Vedic scriptures and applying it to our lives is a continuous, joyful journey: Earning a degree in music, classes on spiritual topics and Sanskrit grammar, cow service, Yoga, Ayurveda and vegetarian cooking classes are some of the activities you can join. Also, scholars and students from around the world come to study at the Institute. Besides courses and seminars, Dr. Satyanarayana Dasa conducts daily classes in English on Srimad Bhagavatam. 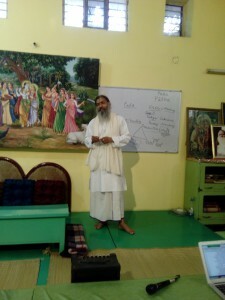 Other members of the staff conduct regular classes in Hindi on philosophy and Harinamamrta-vyakaranam, the Sanskrit grammar composed by Jiva Gosvami. Many scholars come to consult books for research. 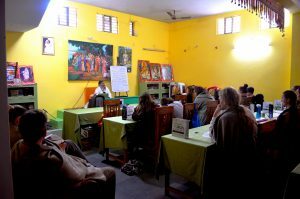 This 5-year course is a unique opportunity to study Gaudiya Vaishnava scriptures in specific and the Sad Darshanas in general, which are necessary to understand Gaudiya philosophy properly. Such an opportunity may not come again because our lives are not eternal. Therefore anybody who is serious about knowing the Gaudiya siddhanta in a systematic and lucid way and who can afford to come and study at Jiva Vrindavan for six months a year for the next five years, should not miss this opportunity. Each semester runs from the middle of October until end of March. The first semester was successfully completed in Spring 2017. The second semester, or level, started in October 2017. Bhakti-tirtha Level 2 at Jiva Institute Vrindavan has started on October 16th and will be running through March 30th, 2018. Every day at 9 am we have morning kīrtan. It includes prayers from the Bhāgavatam, and Mahāmantra. On Ekādaśīs there are no classes, but we observe silence and focus on japa. On Sunday 11 am there will be special optional classes on Vedic Psychology, Feminine Spirituality, Theogony of Sound, and lectures by visiting professors. They will be announced in advance. On Saturdays and Sundays at 5 pm Babaji will give Bhagavatam classes, unless there is some other special program. Bhakti-rasāmṛta-sindhu by Śrī Rūpa Gosvāmī is one of the essential books of the Gaudiya sampradya that teaches the progressive stages of bhakti and the various rasas. Śrī Jīva Gosvāmī’s Bhagavat Sandarbha is the second book of the Six Sandarbhas that presents a detailed analysis of the Absolute Reality in its highest manifestation Bhagavān, based upon Śrīmad Bhāgavata Purāṇa.Tarka Saṅgraha is an entry-level book offering a systematic overview of Nyaya/Vaisheshika in its newer (navya) period. Kavi Karnapura’s work Alaṅkāra-kaustubha is a book on Sanskrit poetics. Jagadananda prabhu’s Sanskrit course will follow the new publication “Jiva Tirtha Sanskrit: Sādhaka Pāṭhyam and other Sanskrit Primers”. Jiva Institute also offers optional courses on demand, e.g. Yoga, Hindi, classical music, and Ayurvedic cooking. On special occasions, we will also conduct tours of Vraja (Radha Kunda, Govardhan, Nandagaun, etc.). There will be a two-week introductory course on Hinduism for students from Rutgers University, New Jersey, which can be attended by the Bhakti-tirtha students end of December. The last week of January will be off. Students can stay on campus or leave. For registration please write to: Jivatirtha@jiva.org.Food per month: $ 250Accommodation: Ashram: $ 150 per month. $ 800 for 6 months in advance. Student Hostel: $ 210 per month. $ 1100 for 6 months in advance.Guest House: $ 300 per month. $ 1600 for 6 months in advance. Please note that we have some students who do not have the financial means to support themselves and pay for the fees. If anyone would like to sponsor such students please contact us!